Is your compliance online training course up to date or are your employees learning about last year’s rules and regulations? In this article, I’ll share 8 tips to create effective compliance online training in a fraction of the time. You must continually reevaluate and revise your compliance online training in order to keep up with the latest rules and policies. However, staying current with compliance is no easy task, especially when company protocols and local regulations are changing at a rapid rate. 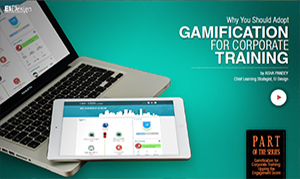 Thankfully, there are ways to beat the clock and create effective compliance online training on a tight timeline. Preparation is half of the battle. You have to plan ahead for industry changes and company policy updates to keep current. Create a plan of action from day one that outlines every step of your compliance online training. This includes the overall learning objectives, desired outcomes, and regulations/rules that you must take into account. Then schedule a monthly meeting where you revisit the game plan and make necessary changes. For example, reexamine the current federal regulations and incorporate new company policies into your online training strategy. Regulatory experts know which rules and protocols pertain to your industry. For example, how to ensure that your employees adhere to health and safety codes when operating machinery. They can help you create effective online training content more rapidly, as they are already aware of the regulations that are in effect in your region. 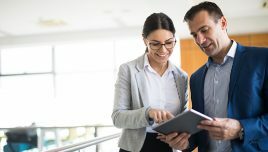 They are also able to narrow down the subject matter so that employees get the need-to-know information, thereby preventing cognitive overload and improving real-world application. Rapid eLearning authoring tools are a wise investment when you’re racing the clock. They allow you to create compliance online training courses quickly, even if you don’t have any prior experience. Rapid eLearning authoring tools feature built-in images, themes, and other media to speed up the development process. The software should also have an intuitive user interface to minimize the learning curve and suit the skill sets of your team. 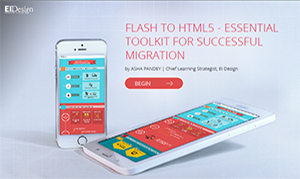 Many rapid eLearning authoring tools feature eLearning templates. 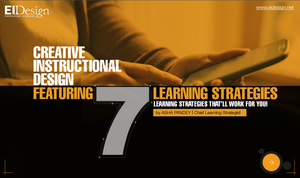 However, you can also find a variety of low-cost or free eLearning templates online. These eLearning templates give you the power to create online training content that is easy to update and maintain. Better yet, you don’t have to start from scratch when developing new online training content. Alternatively, you can design your own eLearning template to reuse for future compliance online training projects. Just be sure to integrate placeholders and leave plenty of space for additional online training activities and assessments. 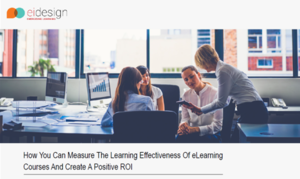 One of the most valuable assets at your disposal is the expertise of your in-house eLearning team or trusted collaborators that handle your outsourcing online training projects. Meet with your eLearning team members early on to clarify expectations and assign roles, then schedule regular meetings to ensure that everyone has the online training tools and resources they require. For example, a monthly conference call or webinar to notify everyone of company policy updates. Subject Matter Experts, Instructional Designers, and IT experts are just some of the key players to bring into the fold. Once you’ve assembled your eLearning dream team, you need to find the right Project Management online platform. This tool facilitates communication and online collaboration among the group, even if they are at the opposite ends of the globe. Effective Project Management online tools feature built-in calendars, assignment trackers, and an instant messaging system. This gives your eLearning team the opportunity to exchange information and feedback. As such, they can review and revise online training content to reflect compliance changes. 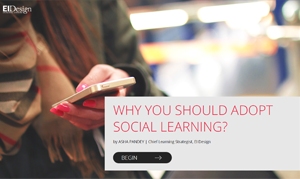 Microlearning typically requires fewer resources and faster turnaround times. 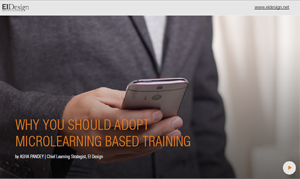 As such, a microlearning approach is ideal for rapidly changing compliance online training courses. These bite-size online training assets are also easier to revise and update. This is due to the fact that you can simply modify one unit without having to rework the entire online training course. Microlearning online training repositories also provide another key benefit. They improve knowledge retention and serve as a great “moment of need” resource. Employees are able to focus on specific compliance tasks or topics in order to bridge the gaps. They can build vital skills, delve into the latest regulations, and learn about company policy updates whenever the need arises. There are three crucial points in the compliance online training process that call for assessments. Pre-assessments gauge an employee’s current knowledge base. 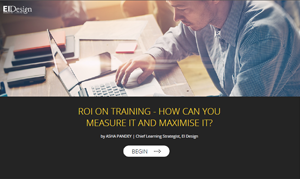 Thus, you can create more targeted and relevant online training content. Periodic online training assessments, or “progress checks,” give you a good indication of how employees are faring, and final assessments tell you how far they’ve come and what they still need to learn. Then you have the opportunity to recommend online training resources to improve their understanding. It’s also important to choose the right online training assessment method for the job. Quantitative exams are ideal for measurable data, such as an employee’s ability to carry out the task in a specific order. Qualitative assessments monitor real-world application and proficiency. For example, their capacity to apply practical skills in order to achieve the desired outcome. These 8 tips can help you create and maintain an effective compliance online training course, even if you’re on a tight eLearning budget and pressed for time. The secret is to periodically reevaluate and refresh your compliance online training course design to avoid more involved revision rounds. This also gives you the ability to avoid costly compliance violations and improve employee proficiency. Are you creating compliance online training courses for a global workforce? 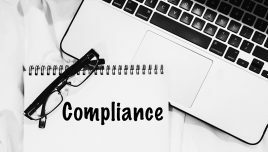 Read the article 6 Tips To Create Global Compliance Online Training to discover tips for developing corporate eLearning compliance programs for an international audience.